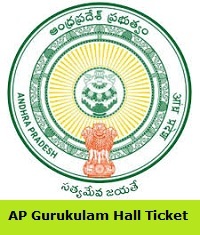 AP Gurukulam Hall Ticket 2019 is Released by the Andhra Pradesh Social Welfare Residential Educational Institutions Society (APSWREIS) authority on 22nd March 2019 at the official website. Candidates who had applied for District Co-Ordinator (DCO), Trained Graduate Teacher (TGT), Principals, Caretaker (Warden) posts, they need to attend for the examination from 28th March 2019 to 1st April 2019. Applicants can able to download the AP Gurukulam Hall Ticket 2019 from welfarerecruitments.apcfss.in. At the end of this page, we have given a direct link to download AP Gurukulam TGT, Principal, DCO, Warden Admit Card 2019. Candidates should use that link and download the AP Gurukulam Hall Ticket 2019 quickly. Examination dates clearly mentioned in the below section. The AP Gurukulam Hall Ticket 2019 is a mandatory document for the candidates who are going to participate in the APSWREIS TGT, Principal, DCO, Warden Examination. It is impossible to write the examination without having the AP Gurukulam Hall Ticket 2019. So all the competitors keep it in mind and attend for the exam with AP Gurukulam Admit Card 2019. Candidates who are looking for the APSWREIS TGT, Principal, DCO, Warden Admit Card 2019, they can check this complete article and full details about the APSWREIS Admit Card 2019. The AP Gurukulam Hall Ticket 2019 contains information about the examination and applicant related information. After downloading the Admit Card, candidates cross check all printed data. If any mistake appeared, then intimate to the higher officials and make the corrections before the exam date. To download the AP Gurukulam Hall Ticket 2019 from the official site, candidates need to enter the below provided information. Candidates need to carry any one of the documents from the below given list to the examination along with AP Gurukulam Hall Ticket 2019 for security purpose. Andhra Pradesh Social Welfare Residential Educational Institutions Society (APSWREIS) main page will open on the screen. Find the AP Gurukulam Hall Ticket 2019 link on the main page and click on it. Enter all important details in required details. After that cross check all provided information and submit them. As per given data, APSWREIS Admit Card 2019 will open. Through this article, we had provided complete information about AP Gurukulam Hall Ticket 2019. Candidates just hit on the above provided link and download the APSWREIS TGT, Principal, DCO, Warden Admit Card 2019 and carry it to the examination. Aspirants if you have any queries related to this topic, then leave a comment in the below provided link. For more updates keep following Sarkari Recruitment webpage regularly. Thank you.